The Huawei Honor Note 10 was teased for such a long time, it almost feels like a relief to finally see it go official. Many of the rumored specs turned out to be true, but the company managed to surprise us with some fresh and unexpected features. The Honor Note 10 is built around a 6.95-inch Full HD+ (1080 x 2220 pixels) AMOLED display with thin side bezels and no notch. The display supports the HDR10 standard and has 115% NTSC color gamut coverage. 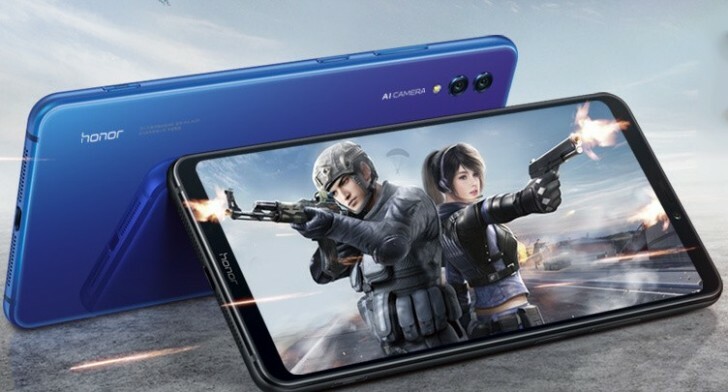 The Honor Note 10 comes with Huawei's in-house Kirin 970 chipset paired with 6GB or 8GB of RAM. The internal storage variants of the 6GB model are 64GB or 128GB, while the 8GB version comes with 128GB exclusively. microSD cards are also supported but in a hybrid slot affair, so you will be giving up the dual SIM functionality. The chipset uses a liquid cooling solution that the maker calls "the nine" as it consists of 8 layers of dissipation and a ninth one that's basically a PC-grade liquid-cooled pipe promising 41% better heat management, which in turn means 10 °C lower temperatures under load. That's not too shabby if these numbers are correct. Of course, the handset supports the GPU Turbo tech but it also introduces a new CPU Turbo feature as well. Both software enhancements work together to form the Double Turbo mode, which can be launched with a press of the dedicated hardware button on the bottom. The Honor Note 10 packs a 24MP (f/1.8) main camera on the back aided by a 16MP (f/1.8) secondary unit, while its front-facing shooter is 13MP with f/2.0 aperture. The usual AI software for scene recognition and other AI features are at hand. The hardware button for the Double Turbo feature can be used as a shutter when using the camera app. The phone comes with Android 8.1 Oreo out of the box with EMUI 8.2 on top and it's powered by a massive 5,000 mAh battery. Luckily it also supports Super Charge so the huge battery can be topped up much faster. 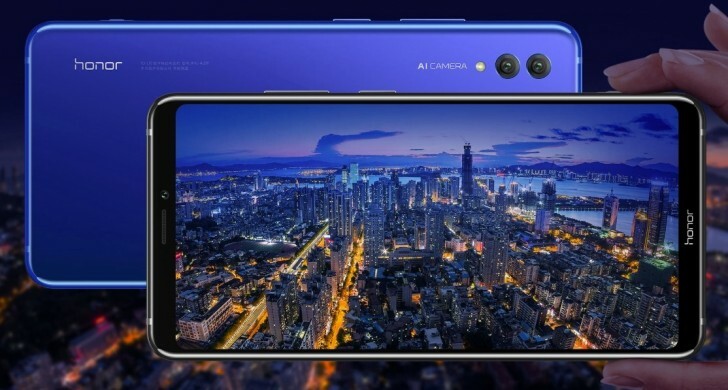 When it comes to pricing, the Honor Note 10 doesn't disappoint - the 6GB/64GB model goes for CNY 2,799 ($409), the 6GB/128GB model costs CNY 3,199 ($468) while the most powerful variant with 8GB of RAM and 128GB of storage is priced at CNY 3,599 ($527). The Note 10 is available in Midnight Black and Phantom Blue colors and it's already on for pre-order in China. The actual shipments will begin on August 1. Such a huge phone & yet they couldn't fit a 3.5 mm jack?! Utter disappointment. U call this nonsense? https://youtu.be/YFUfyvMLaFw Calm your sense down please.